The most glaring change to the appearance of the 2019 Nissan Altima has been made to its grille. The chrome V-Motion frame is classic and makes its return yet again, but has a wider and more modern look. The black, mesh-like-patterned grille is framed by the V-Motion chrome, which gives an iconic, yet fierce look to the car. Standard features come stocked with 16-inch wheels, with premium aluminum-alloy 19-inch wheels upgrade available based on trim level. Additionally, the headlights and fog lights in this year’s model have been refined and given a sleeker shape. The LED lights look as great as ever and exemplify the philosophy or practical sophistication that defines the 2019 Altima. New contours have been sculpted into the sides and onto the hood of the car, giving the vehicle an impressively striking and sporty look. A character line stretches straight across the front fender to the rear taillight, and its chromed door handles punctuate that line. The rear door handles sit higher than the front, which seemingly drops the car onto its shoulders. 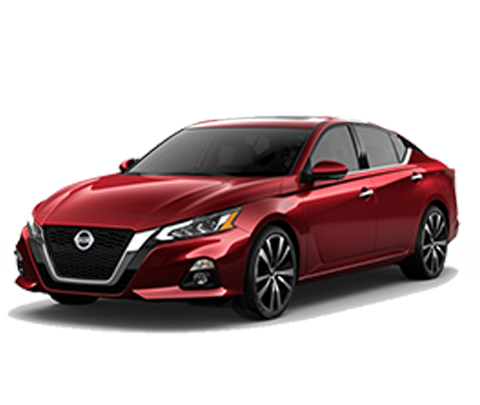 In a year which has been notorious for trendy style, the new 2019 Nissan Altima brings the heat. Come down to Flagstaff, car dealership of choice for drivers throughout AZ to test-drive your new ride today! Nissan takes a comprehensive approach to safety that guides the engineering and development of every car it produces. This helps keep an eye on your vehicle’s systems, assists you in handling unexpected situations and helps protect you in the unfortunate event of an accident. The 10 standard airbags in the Nissan Advanced Airbag System include dual-stage supplemental front air bags with seat belt and occupant-classified sensors. Engine Vehicle Dynamic Control (VDC) can reduce power and apply brake pressure to specific wheels when it detects oversteer or understeer. Traction Control System (TCS) can sense wheelspin and responds by instantly helping reduce throttle, helping you both regain available traction and maintain control. Lane Departure Warning and Advanced Braking provide additional layers of support and protection, and it helps apply maximum braking force if the vehicle detects a hard-braking situation. LATCH is another way Nissan Altima is working to help keep children safe. The LATCH system lets you secure LATCH-compatible child restraints in the back seat without having to use seat belts or a locking clip. Proving out commitment, the Snug Kids Child Safety Seat Fit Guide lists child seats that fit the rear seats of Nissan vehicles, as well as offers invaluable tips on correct installation. Whether it’s turbocharged power or fuel-sipping economy, the Nissan Altima has an all-new available VC-Turbo engine responds to your input instantaneously. It actually changes shape as it adjusts the compression ratio to maximize output or fuel economy. When you press on the gas, the piston moves to produce a lower compression ratio. Similar to when a sprinter crouches to launch off of the starting line, it results in instant V6-like power from this mighty 4-cylinder turbo base engine. The Nissan Altima offers 2 different engines, including an all-new 4-cylinder Direct Injection Gasoline (DIG) engine that packs some serious fuel economy. With quicker, quieter and smoother performance, it proves that efficiency doesn’t have to be a compromise. With up to 280 lb-ft of torque, and 25/34 city/highway MPG fuel efficiency, the Nissan Altima rises above the competition when compared to other vehicles like the Toyota Camry and Subaru Legacy. Make every day a track day with the All-Sport Nissan Altima SR. Sporty 19-inch wheels make a bold statement off the line and an exclusive interior with Rakuda Tan stitching keeps you riding in style. The Nissan Altima SR features standard paddle shifters that put power at your fingertips, while available suspension and steering tuning make every drive feel like something special. With 9 speakers strategically placed and custom engineered for the new Nissan Altima, the available Bose® premium audio system takes advantage of the unique interior acoustics. Every instrument seems to hit you from a different angle for front-row sound so good, it might even be better than being there. Add that quality with Active Noise Cancellation, you’ll enjoy a quieter cabin that feels like a private tour. Available Intelligent Climate Control, heated seats, Dual Zone Automatic Temperature Control and vents highlight the interior features standard across all Nissan Altima models. Do you like it at 68° while your front passenger stays comfortable at 72°? With Dual Zone Automatic Temperature Control lets each of you set and enjoy the temperature of your choice. An available heated steering wheel keeps the driver’s hands toasty on cold mornings, which means your driving gloves can finally stay inside the glove box for good. The new Nissan Altima offers plenty of flexible cargo space and seating with an open interior and a spacious trunk. For those trips that demand a bit more room, you can flex your space with the 60/40 split rear seats. When shopping for the Nissan Altima, or any Nissan model, Flagstaff Nissan is the car dealer drivers trust. With all the hype over the looks on this year’s Nissan Altima, just wait until you take a look at the vast amount of tech this beast brings to the table. With available NissanConnect technologies, you can tailor how you stay in touch, 0r you can use the Nissan Door to Door Navigation System for seamless routing to your destination. With the available NissanConnect Services Skill with Amazon Alexa – available in the SR and Platinum sedan segment models – you can actually communicate with your Nissan Altima by the sound of your voice. People to see? Places to be? Just ask Siri®. Equipped with Siri voice control, Apple CarPlay™ brings on board your contacts, favorite messaging apps, iTunes® library, Apple Music playlists, Apple Maps, and more. It even works with your steering wheel controls to adjust volume and toggle through screens. Simply plug in your compatible iPhone® and go. Nissan Altima lets you access NissanConnect Services with your Google Assistant. Just say, "Hey Google, talk to NissanConnect Services" on a compatible smartphone and you'll be able to lock and unlock your doors, flash your lights, start your engine and more. 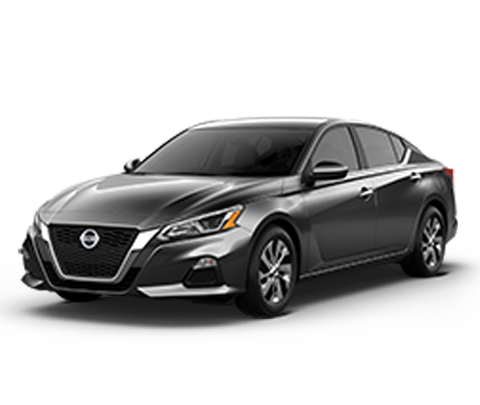 To test-drive the 2019 Nissan Altima, visit Flagstaff Nissan – the premier Nissan dealer of Flagstaff, Arizona!